Today I picked up tickets to see Flight of the Conchords live... Hooray! Sooo looking forward to seeing them perform live after many years of listening to their radio show, watching their tv series and a ton of youtube videos. 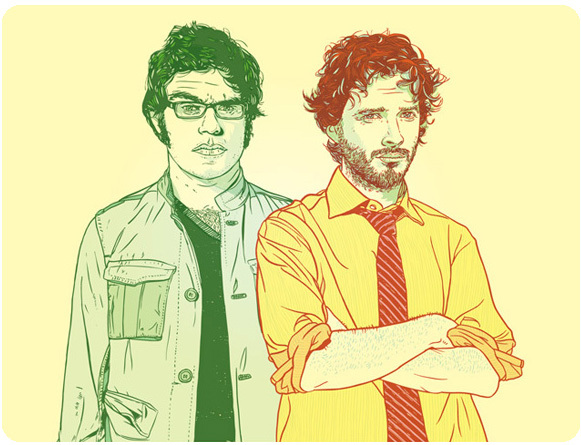 By the way, how fantastic is this illustration of Bret and Jemaine? It's by the infamous Tyler Stout and if you're into illustration you should definitely check out some of his stuff! 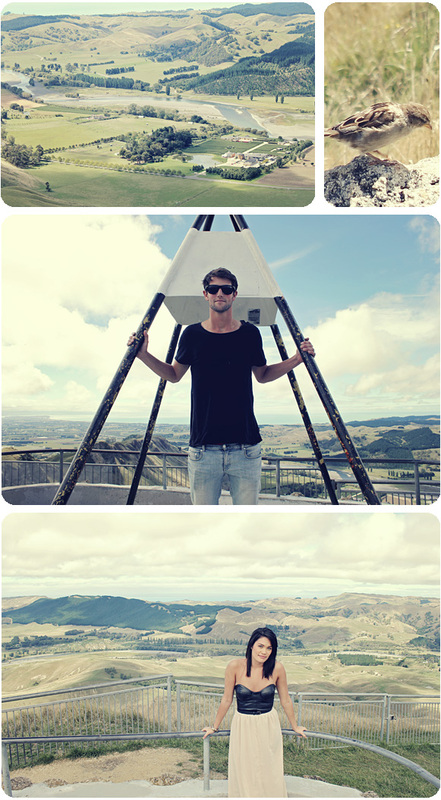 We went on a bit of a road trip to Hawkes Bay over the weekend. Unfortunately I wasn't able to get any photos of a hawk but it was definitely true to its name. I saw five or six fly overhead during our stay. After having a yummy lunch in Napier, New Zealands art deco city, we drove up to Te Mata Peak which has the most AMAZING views. I could have stayed up there all day. In the photo below you can see Craggy Range Winery, one of many in the area. We stayed at the sweetest wee villa. So lovely to have the whole place to ourselves. The property is called Cape South and it has three different villas you can stay in. We stayed in the little two person villa called "the Hut". It has it's own private spa pool which we had a dip in as the sun was coming up in the morning. There were even little bunnies hopping around on the grass! Two Happy Hearts had the greatest idea and I've pinched it... I hope you don't mind Christen! My hubby proposed to me with a book that he had written and it has lots of extra pages in the back and I thought a photo for every year we've been married could go in there. Wouldn't that be great to look back on when we're old and grey?? 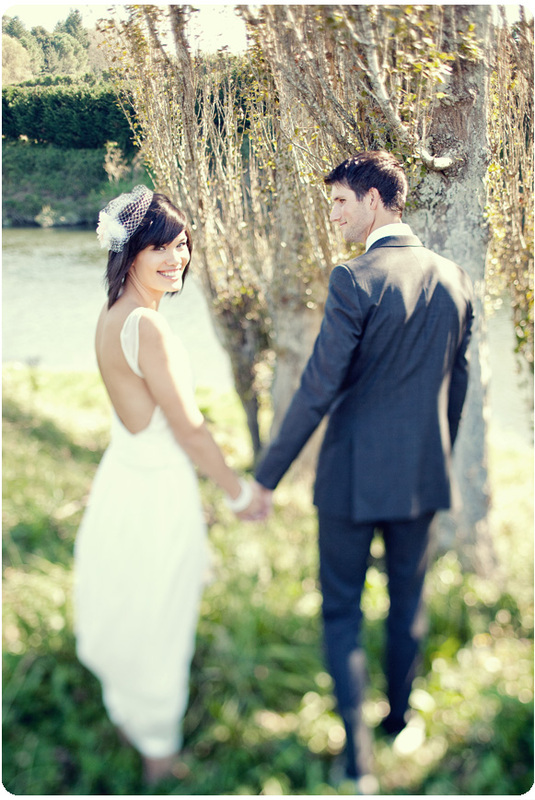 On this day, one year ago, Brendon and I tied the knot. And what a year it has been :) So many good times full of laughter and silliness. 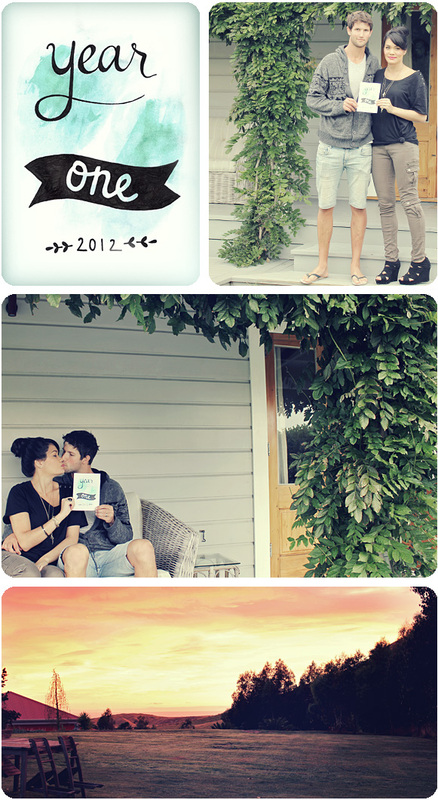 To celebrate we had a weekend away in Hawkes Bay and I will post some photos of our trip soon! I bought some watercolours a couple of weeks ago and decided to do a bit of experimenting. I have never used them before and it is a lot different than the acrylics that I'm used to. 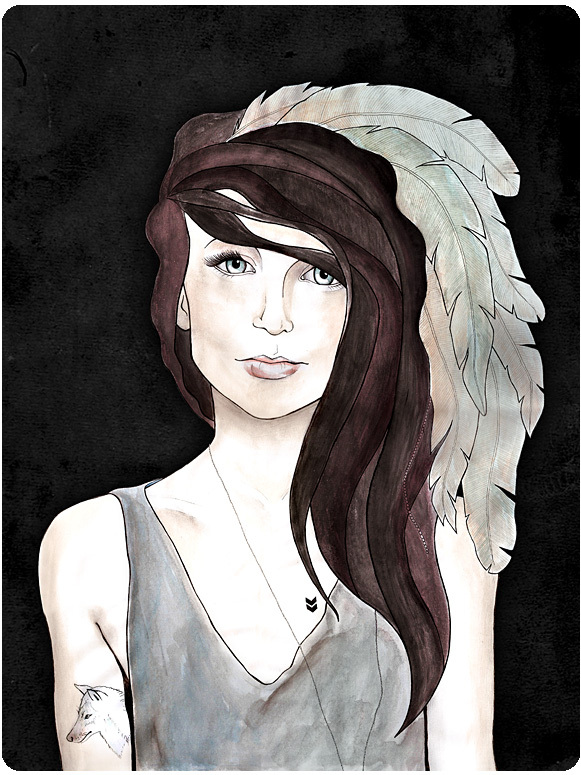 I'm keen play around some more... Purely as a way to colour an inked illustration. If anyone has any tips or knows of any good tutorials, feel free to share them with me!